Final run on my trip out to VA/WDC. 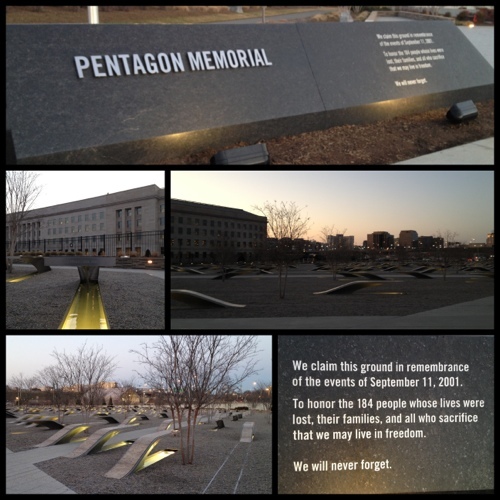 This morning, I did an out & back to the Pentagon Memorial – another memorial I’d not been to before. thought about that day, the people forever impacted, and prayed. Today’s session: 4 Mile Easy Run @ a 10:28 pace. Comments: Nice run, though a bit somber and reflective knowing where I was running to and from. I ended up running 5.2 miles @ 8:47.